What is it about unicorns that makes them so magical? Maybe its the pretty rainbow colors or their sparkly glittery horn. Whatever it is, its made all little girls go crazy over them. And just like all the millions of unicorn fans out there my little girl is absolutely head over heels in love with them. 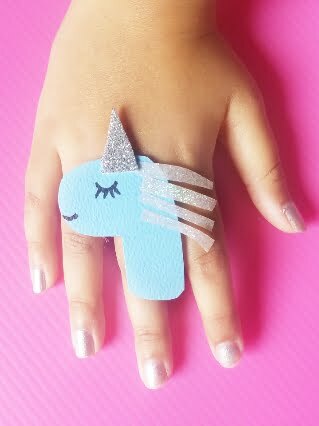 So to make her happy i decided to make special Unicorn Craft Finger Rings for her. And let me tell you, she was super excited to make them with me. She selected all the paper colors and the glitter paper we needed for this magical craft. And once her pretty Unicorn Craft Finger Rings were ready she wouldn’t take them off her fingers. By the way this is another super easy craft. Because honestly who has the time to make highly complicated crafts. And while you are here do check out my Baby Bird Craft Finger Ring. Its so adorable. 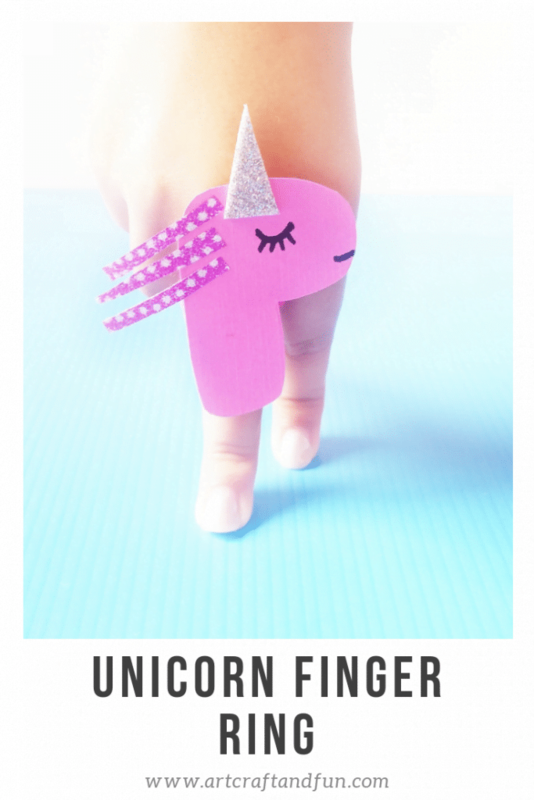 * This is for two Unicorn Craft Finger Rings. 1. Cut a bubble letter L (upside down) for the head of the unicorn. As shown below. 2. 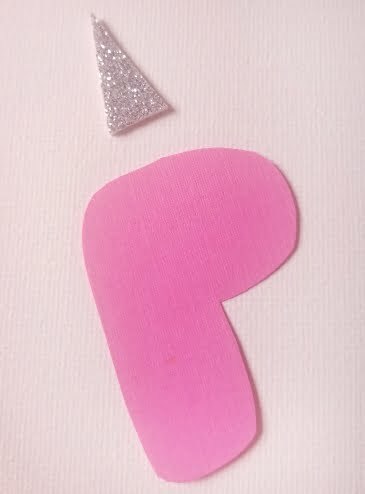 Cut a triangle from the silver glitter paper for the horn of the unicorn. 3. Draw the eyes of the unicorn with the black marker. 4. Put tiny strips of glittery washi tape as the mane of the unicorn. 5. For the ring, measure the pipe cleaner around the finger. Make a circle of the pipe cleaner. 6. Stick the the Unicorn on the ring. And voila! 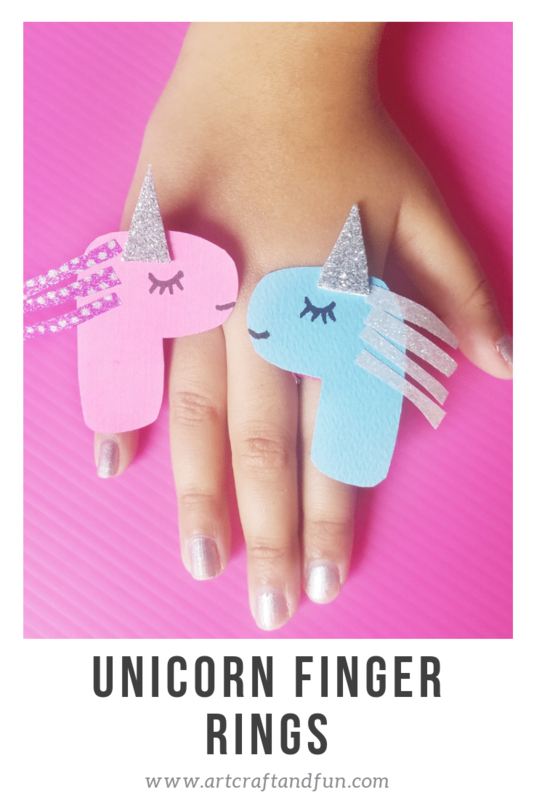 Your magical Unicorn Craft Finger Rings is ready. Let the little unicorn fans wear it all day long for some magical time. 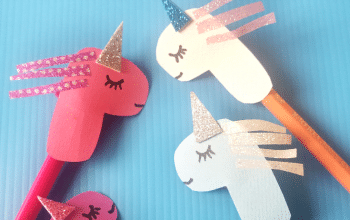 This Unicorn Craft is also perfect for Unicorn themed birthday parties which are all the rage everywhere these days. You can setup a crafts sections for the girls and they can decorate their unicorn rings as they like. 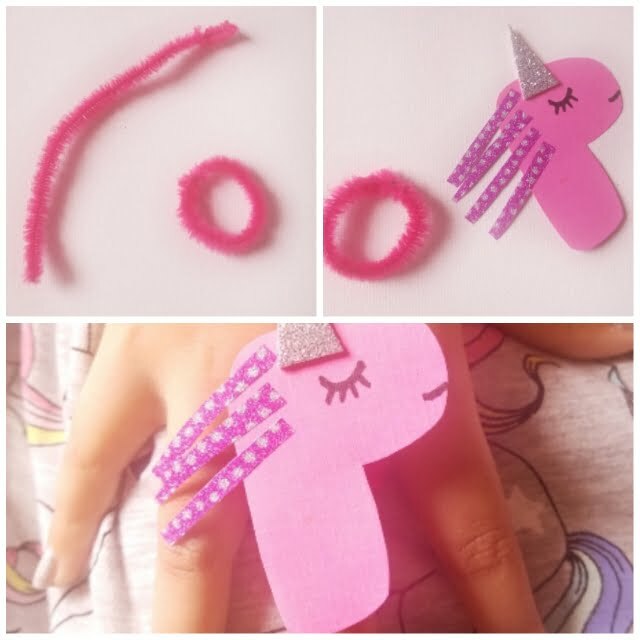 For some other magical Unicorn Crafts do check out my very famous Unicorn Finger Puppet and Magical Unicorn Pencil Holder Craft. 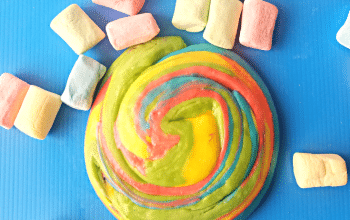 Have fun making these magical crafts with your little ones. Happy Crafting With Us!! This is such a cute idea and so simple! I know! I love how simple these are. I am total fan of easy crafts. With kids you cant make complicated stuff anyways. Oh how fun! I’m always looking for something new to entertain my girls on summer break with. This will be our next project! I am happy you like these. And isnt it so kool that these are so easy to make. 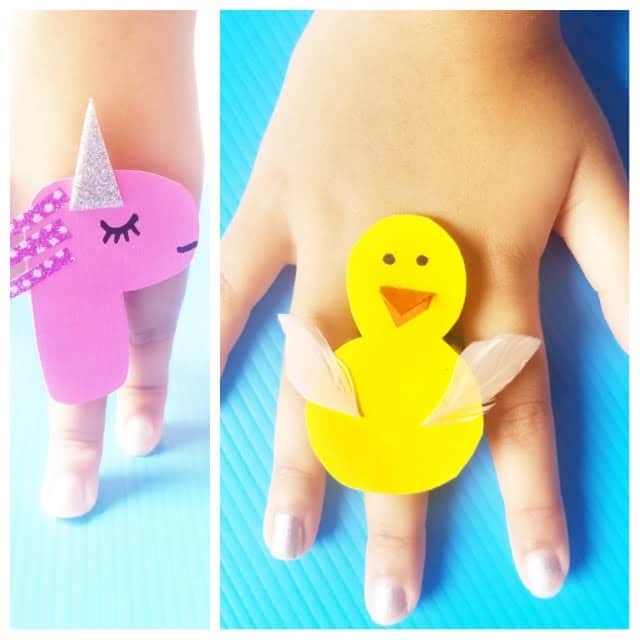 I love easy crafts for kids. 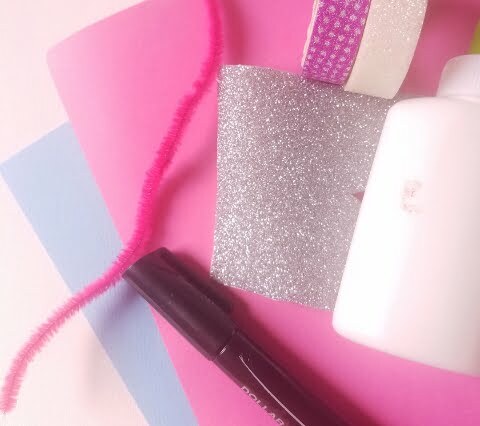 So do check out my other fun crafts as well. This is so cute. 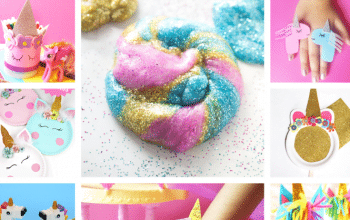 I know my niece would love to make these, she loves unicorns. I am so glad you like these. Do check out my other unicorn crafts as well. They are all so easy to make. And such fun to play with. These are so adorable and just my kind of craft! Can’t wait to share with my niece!